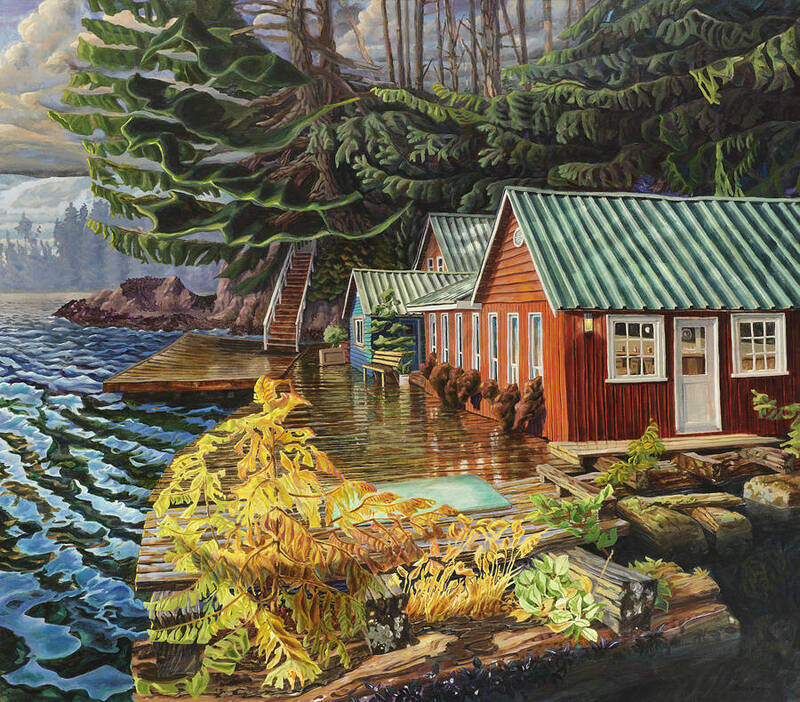 Drew Burnham trained with Don Jarvis and Toni Onley, and studied architectural rendering as well as Fine Art at the Vancouver School of Art and University of Victoria. Burnham’s paintings are in many private and corporate collections. Drew Burnham’s page at the gallery, here. The Pender General store painting stopped me in my tracks. We have a house on the island and pass that location often when we are on Pender. Thank you for “wowing” me! I so envy you that house. It is such a beautiful part of the world. I just wish the roads would improve and avalanches would stop so we could get to it! You forgot the cabin! LOL! My husband says we’re nomads. These are incredible, thanks for sharing them! That’s exactly the right word, isn’t it. These latest works are so stunning.